Heritage science connects the humanities and the physical sciences in an interdisciplinary field that thrives on collaboration. In a time of rapid global change, the field addresses the needs of the arts, heritage, and archaeological sectors through conservation, interpretation, management, and digitization of our heritage. 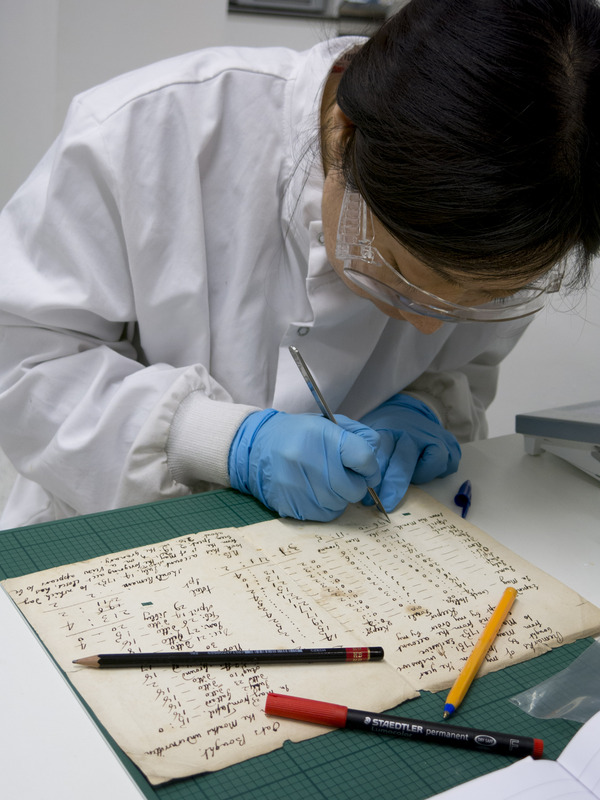 Yun prepares samples for analysis at the UCL Institute for Sustainable Heritage (ISH) lab. Provide a platform for gathering and engaging heritage science and related researchers, professionals and practitioners for the discussion of innovative research being conducted in the cross-disciplinary field. Connect and stimulate the dialogue between practitioners and academics involved in heritage science and in cultural heritage broadly. Share new knowledge in best practice addressing the scientific and engineering research needs of the arts, heritage and archaeology sectors. The HSRN is a Science & Engineering in Arts Heritage and Archaeology (SEAHA) student initiative. SEAHA is an Engineering and Physical Science Research Council (EPSRC) funded centre for doctoral training (CDT) created through a collaboration between University College of London, University of Brighton and University of Oxford. The aims of the programme include training researchers internationally addressing the scientific and engineering research needs of the arts, heritage and archaeology sectors and engaging heritage, industry, academia and the public through the development of instruments and tools, encouraging novel ways of understanding material change and the innovative presentation and interpretation of heritage. For more information about the SEAHA CDT visit http://www.seaha-cdt.ac.uk/. The views expressed on the HSRN website and blog are those of the authors and not of their institutions or SEAHA.